Blockchain technology is not suitable for everything. Is it really an aberration to the buzz it has created in the industry. If you plan to invest in blockchain, do your research if it is really disrupting your business. Do your independent research and consult a blockchain professional, if you plan to use it. Just about every type of company that’s out there, and regardless of whether or not it’s necessary, is attempting to use blockchain. Admittedly, it’s a revolutionary new technology, however, no matter how great an invention, it’s not meant for everything. Please note that I am not trying to bash blockchain, but rather shedding some light and reality into the overly hyped blockchain space. Remember the dot-com bubble from the late 90s and early 2000s? Remember Pets.com? If you’re too young to recall or would like a refresher, then I’ll tell you that it was just about another company trying to get on the dot-com bandwagon by making some catchy logos and what was considered a nice website at the time. The company founders were all over the morning talk shows, but what ended up happening was that the whole concept was an epic fail. Why? Because of not having a solid product to offer. So, the lesson that can be learned here is that no matter how great your marketing and sales strategy, if you do not have a legitimate product, then you’ll be on a quick route to failure. Also, just by using the latest technology to sell a useless product doesn’t help much either. Put simply, if you’re trying to sell people stuff they don’t need or don’t want, then you’re not going to achieve long-term success. Moreover, you’ll steadily build a bad reputation for yourself, and later on, even if you do actually come out with a great product, you might have a rather difficult time convincing people that it is actually useful. Similarly, with blockchain technology, as veteran Axes and Eggs ICO and blockchain analyst, Samson Williams informed me, distributed ledger technology (DLT) is not meant for everything. A simple spreadsheet may suffice in many cases or a simple database set up in Microsoft Access, Samson noted. Furthermore, my interview with Blockchain and DLT head Sheila Warren from the World Economic Forum taught me that there were many instances where blockchain technology had been used; but, it was not the appropriate solution for the problem it was trying to solve. 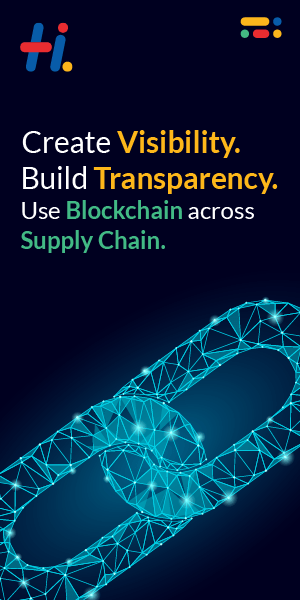 In fact, Sheila and her colleagues have developed a toolkit that helps businesses and organizations determine whether blockchain technology is right for them. Once again, let me be clear. The blockchain is an excellent tool but requires careful research and understanding before it can be properly used. There’s also another type of problem-related to the blockchain. This time it’s not actually with the technology itself, but more of a social thing. That being, there are people disseminating disinformation regarding what blockchain actually is. We’ve got people like a prominent economist and professor Nouriel Roubini, who accurately predicted the 2007 housing bubble crash, who recently stated that blockchain is “nothing but a glorified spreadsheet.” This comment in itself shows a high level of ignorance, considering that Bitcoin uses a blockchain. And, we know how effective a blockchain can be considering that Bitcoin simplifies monetary transactions greatly. Yes, Bitcoin has its share of problems with scalability issues and high transaction fees. However, there’s a solid development team behind it and they’re working on upgrading it around the clock. There’s the lightning network that is being developed, which aims to conduct off-chain transactions. So, the main blockchain won’t be so clogged up. Nevertheless, the foundation of the Bitcoin network is super strong, as it has never been hacked, and the foundation, of course, was built on a blockchain. The Factor protocol is a good implementation and use of blockchain technology. The factor is designed to verify the authenticity of legal documents and research papers. In fact, just about any document can be verified by linking it to its real author or source using the platform’s blockchain. Also, the Factom blockchain does not store the actual document. Instead, it simply stores references or pointers to the real or genuine version of the document. This way, its blockchain only stores what’s absolutely required. Thus, it eliminates the scalability problem by not burdening the main blockchain with too much data. I might receive a lot of criticism for this, but a bad implementation and use of blockchain technology is Dan Larimer’s Steemit platform. Yes, the idea is great to have an incentivized social media platform. However, even with far fewer users than Facebook or Twitter, the Steemit platform is already slowing down considerably. For instance, if you try to upvote a comment, the blockchain is unable to process your request for a long period of time. This is not always the case, but it occurs often enough. Sometimes, when you try to re-them a post, which is the equivalent almost of sharing via Facebook, the blockchain slows down, and fairly often, your request cannot even be processed. So, the best thing users are left with is simply trying at a later time. Therefore, this shows that something that requires an inordinate amount of data to be processed should not be implemented on a blockchain. On second thought, it would be better to process the absolutely essential data on the blockchain. And then, all other processes can be implemented off-chain. Of course, this is not as simple as how I am describing it here. Programming a blockchain requires expert-level coding skills and experience. Additionally, the blockchains of today are simply their first version, which needs to be drastically improved. Notably, ex-JPMorgan blockchain head Amber Baldett aptly pointed out that the blockchains of today are like the dial-up internet or even the internet from the 1960s. So, blockchains have not yet advanced to the point that they can be considered a truly robust, scalable, and long-term solution. The binary-based blockchains of today have the potential of being attacked by quantum computers in the near future. In fact, Google unveiled the latest 72 qubit quantum computer. This is a drastic improvement from IBM’s 50-qubit processor from last year. In simple terms, quantum computers are able to process information in more than two states. Meanwhile, binary computers of today can only process data in two states: 0s and 1s. Once quantum computers have matured to the point that they are suitable for mass adoption, all existing digital infrastructure will have to be updated and migrated. It will be quite easy to migrate centralized systems as most of the control is in the hands of a central authority. However, users of decentralized blockchains of today will have to manually migrate their information over to a quantum resistant network. That’s only if a legitimate one exists. There are, notably, crypto-platforms that are quantum resistant even now, such as the IOTA platform. Then, there’s the new Quantum Resistant Ledger platform being built as well. Both crypto platforms have been designed with the future in mind. Now, if you’re seeking a blockchain solution, you might want to consult the right people or organization that can build you a quantum-resistant blockchain, which might not be such an easy task right now.